To the untrained eye, a scramble of period styles in an historic building may not be problematic. The general approach of just installing what is easiest, or what the current owner thinks looks good tends to be the fate of many historic homes and buildings. Staying true to period when working on an historic building is a good investment, both economically and esthetically. However, it does require more preparation. Before making any changes, study the period of the building one is working with, and learn more about the elements that would have typically been used at that time. 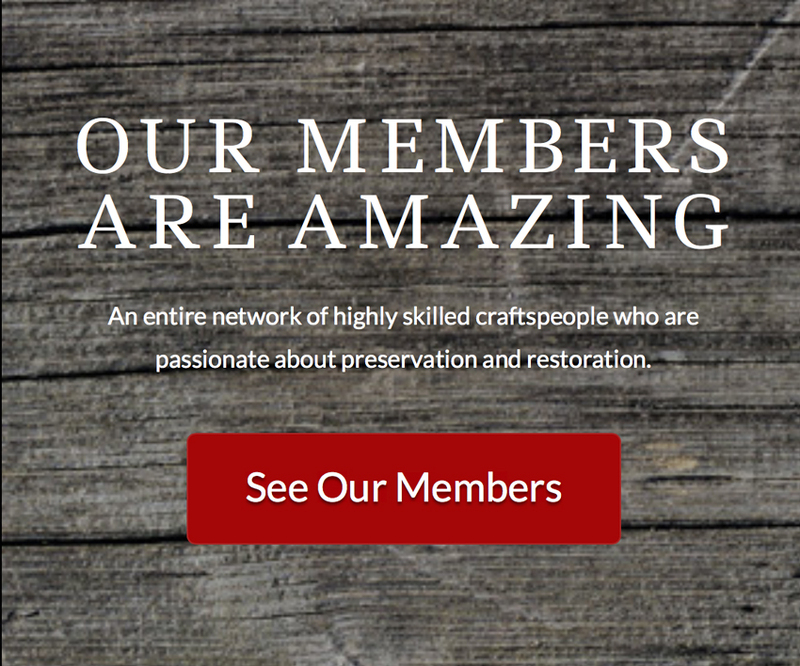 Armed with your research, you will be able to learn about appropriate materials and styles for your historic building. Also, you will need to locate craftspeople who have a strong understanding of period crafts and materials, along with how those materials were used. 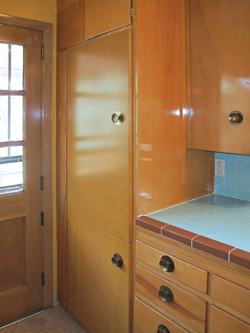 In the interior of a 1954 Mid-Century Modern Ken Birkemeier home, (Figure 1 and 2) the contemporary refrigerator has been completely concealed using an original cabinet door. The venting for the refrigerator has also been concealed, making this a sensitive incorporation of a modern convenience. The result is that the kitchen was updated but kept “to period.” It avoided mixing elements of widely differing periods and styles that are unrelated to one another. The historic integrity of this kitchen was maintained through the use of creative problem solving. In this exterior, we see a porch area that was not approached with period sensitivity. The result clashes with the rest of the architecture and detracts from the historic integrity (and monetary value) of the building (Figure 3). Matthew Roman, of Roman Design LLC, helped the homeowner redesign the porch area with a historically sensitive redesign of the area, with stunning results (Figure 4). The area now contributes to the esthetics of the building and increases the value of the residence. Keeping renovation work “to period” by taking time to study the most period-sensitive options and making educated decisions is incredibly important. It is equally important to hire professionals who are truly knowledgeable about historic resources and are highly skilled at their craft. There are many individuals and companies that claim to specialize in vintage buildings, but a large percentage of them actually have limited knowledge in historic buildings. So, be careful out there! By taking time to educate yourself to better understand your building and learn what the most period-sensitive options are, you can make the difference between a mistake that will need to be redone, and a beautiful timeless change that will enhance your home and be cherished for generations to come.